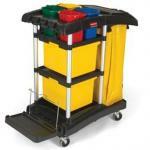 Get the latest Rubbermaid janitor cart. 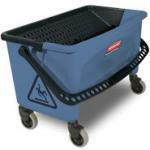 These microfiber mop buckets represent the next generation of cleaning, engineered for hygienic safety and ergonomics. 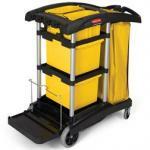 Don't suffer a sore back again!